One of the wonderful things about travelling in India is that there is so much varied cuisine to try. The differences in the food from state to state can be immense, so if you’re something of a gastronome a trip here really is a fantastic journey for your taste buds. 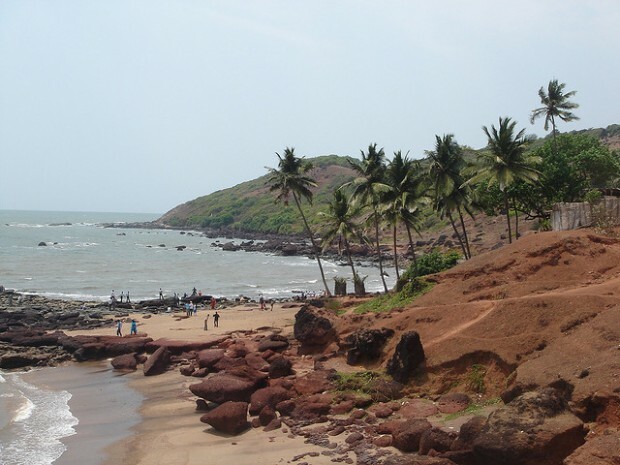 Goa, in the south of the country, has its own distinct cuisine and what makes it stand out from much of the rest of India is the profusion of seafood on the menu. While many parts of India offer predominantly vegetarian fare, Goan specialities often feature fish thanks to its location on the coast. Many spices and flavours are used in Goan cooking due to the number of spice plantations in the state, where a wide variety of fresh spices, fruits and nuts are cultivated. The following are just a few of the dishes you should try during your holiday in Goa. We’ve already mentioned that seafood is a staple in Goa and one dish that you will come across time and time again is the local fish curry. Almost any kind of fish can be used to make this simple but tasty dish and it’s a firm favourite with families in the state, as well as travellers. Among the flavours in a Goan fish curry are coconut, ginger, tamarind, raw mango, garlic, tomato and, of course, chilli. In fact, red and green chillies are typically included in this dish. It’s normally served with plain boiled rice, so you can fully appreciate all of the spices. Thanks to the strong Portuguese influence in Goa, there are several meat dishes that are staples in the state that you won’t find anywhere else in India, and pork vindaloo is just one of these. This spicy dish is a favourite on Indian restaurant menus in the UK, but you won’t taste anything quite like the version you get in Goa back at home. The fresh ingredients used in cooking here give the sauce and marinated meat an intense flavour that is quintessentially Goan – not one to be missed. This is another dish that has been influenced by the Portuguese settlers and it is not as spicy as other Goan cuisine. Chicken cafreal sees the meat marinated in a mildly spicy green coconut masala sauce and then fried. It’s often served on its own with a squeeze of lemon juice, rather than as part of a main meal. Chillies, cloves, coriander, ginger, cinnamon, turmeric and tamarind are among the spices used to create the paste that seasons the chicken. Anyone with a sweet tooth needs to try bebinca – multi-layered cake that is made from coconut pancakes. Each layer is cooked separately and you can’t start a new layer until the last one has been completed. Cooking the perfect bebinca is something of an art form in Goa, partly due to the amount of time it takes to prepare. This sweet treat is traditionally served at Christmas, but is available throughout the year in the state. A word of advice – if you want to sample the best cuisine Goa has to offer, make sure you try some of the dishes on sale at the beach shacks. These are typically quite simple but taste delicious and if it’s seafood that you’re after you won’t find anywhere serving meals with fresher ingredients. Posted in India and tagged with Cuisine, food, Goa, India. RSS 2.0 feed.